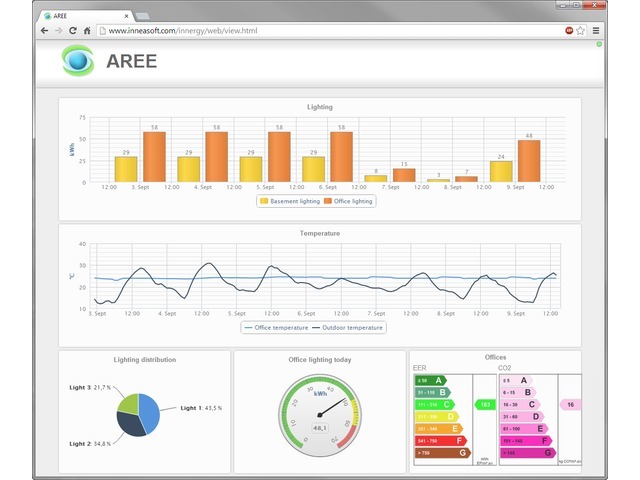 AREE Building is an Energy Management software allowing companies and public communities in the industrial and service sectors to reduce their energy costs and CO2 emission. Its intuitive web interface allows you to view from any Web browser, the consumption data of your site. 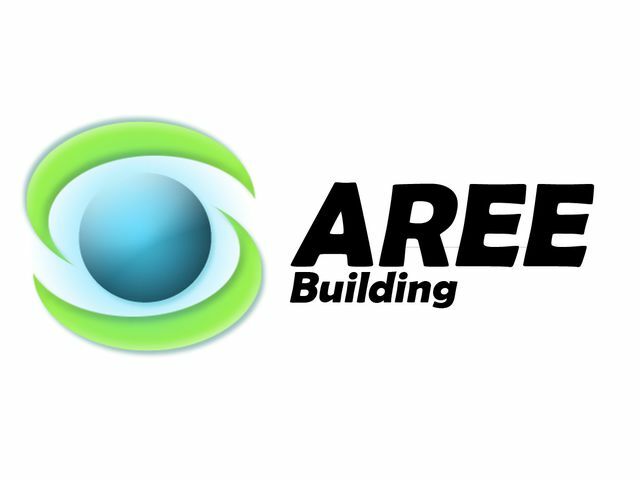 AREE Building is designed to be used in the professional buildings, offices, commercial buildings, industries, hospitals, schools, swimming pools, gymnasiums, town halls and other public buildings and facilities. Visualize your energy efficiency rating and carbon footprint in real time. 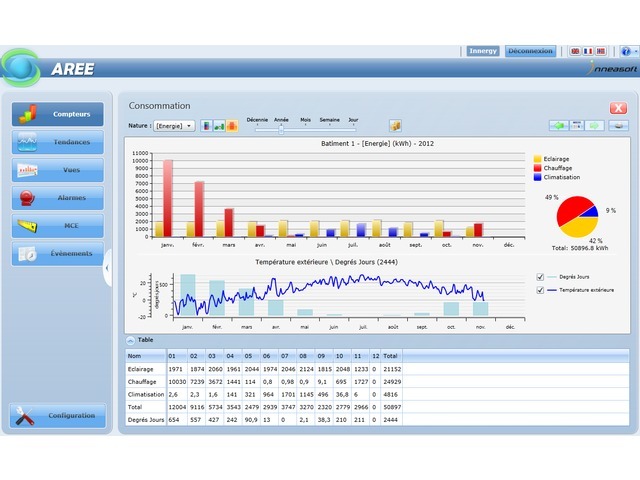 Monitor the effectiveness of an energy plan, etc. 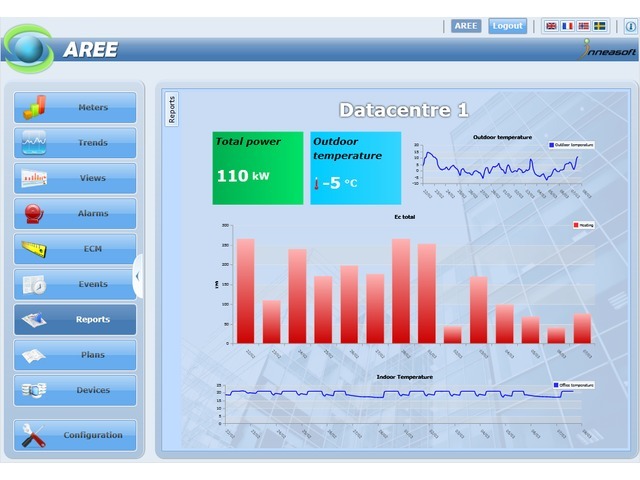 Display graphs and dynamic indicators in halls and common areas. Check your bills by displaying the cost of your consumptions over a period taking into account the tariffs. Organize your meters in any way (by location, nature, group). Compare your consumption over different periods or different locations.